I don’t know why I never got round to reading it. I picked it up in a charity shop eons ago. 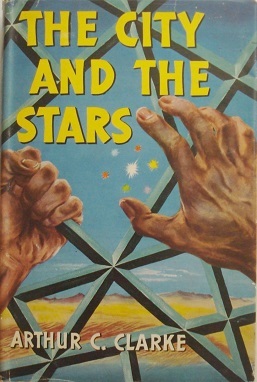 The cover showed its age and the title didn’t seem that exciting. Even the blurb on the back of the book failed to motivate any kind of desire to read it. How wrong I was. I tend to find books where politics form the central thread of the story tedious. There are some notable exceptions; The Song of Ice and Fire trilogy by George Martin the main one that springs to mind. I also have low tolerance for books that don’t grab me early in the story. So I didn’t have high expectations. Despite all that, Foundation is the best science fiction novel I’ve ever read. The central premise of the story is interesting. The behaviour of any sufficiently large society can be mapped and predicted using mathematical models. Professor Hari Sheldon, as a Psychohistorian predicts the downfall of the empire using such mathematical models. There is no way to avoid it, but the effects are mitigated by forming the Foundation. The story rattles along at a cracking pace as the epochs unfold. Each epoch requires a different set of skills and a different set of people to come to the fore. The scale of the story is sometimes staggering, but as a writer, I can appreciate the crispness of Isaac Asimov‘s prose. The end of every era is marked by a crisis as the new epoch is born. I thoroughly enjoyed it and I was genuinely disappointed when the book finished. I went to the local bookshop to pick up the sequels, only to find that they were out of stock. 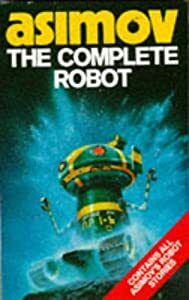 Impatient to get another dose of Asimov, I picked up the Complete Robot anthology. All of the 31 stories revolve around the robots of the US Robotics and Mechanical Men corporation and the nuances of the 3 laws of robotics. Some might think that such a subject would be severely limiting, but there is huge variety in the stories. My personal favourite is Reason where the robots decide that the best way to obey first law is to start locking the humans up. By a sheer stroke of coincidence the day after I finished the series I, Robot came on the TV. I have yet to read the story, but I couldn’t turn down the chance of some visual Asimov goodness. The character names and the terminology used are reminiscent of the world I’ve come to know and love, but it’s almost as if they put together all the ingredients of a good Asimov robot story and threw half of them away. Not a bad film, but somehow a wasted opportunity. I can’t wait for someone to create a film version of Foundation. In the meantime, I’m patiently waiting for the next books in the series. I’ve always been fascinated with anything futuristic. My favourite viewing as a child ranged from the Tomorrow People through to Logan’s Run and everything in between. When the Star Wars films came out, I was in heaven. Although I liked the science fiction represented on TV and in the cinema, it took me a long time to grow a liking for literary science fiction. I tried many books, but found that most of them lacked the raw guttural excitement of what I’d seen on screen. I found myself drawn to fantasy fiction. Somehow, the reverse was true. Most fantasy films were pretty ropey when compared to the best of the written word. Of course, these days we are spoilt with Lord of the Rings, The Hobbit & Game of Thrones. Lately though, I have a science fiction itch that I can’t quite scratch, so I find myself steadily ploughing through the SF Masterworks series from Orion Publishing. I can pick them up for a song from my favourite disorganised bookshop. I started with the Forever War by Joe Haldeman. Published almost 40 years ago, the novel still seems fresh and follows the life of a soldier in an interstellar war against the Taurans. The war ebbs and flows as both sides learn from the conflicts. Straight after this, I read Tau Zero by Poul Anderson which is even older. The bed-hopping colonists in the book suddenly realise there is something terribly wrong with their ship. Although the scope of the novel is epic – the destruction and rebirth of the Universe – I can’t help being disappointed with the ending. 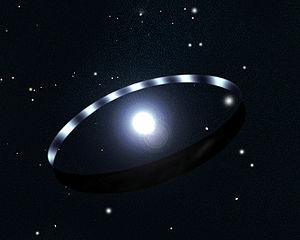 Larry Niven‘s Ringworld was next – again, an old book. Published in the year I was born, it follows an unlikely group of 4 voyagers setting out to explore a the massive ring like construct of the title. The story bounces along at a jaunty pace and the characters grow throughout the book. Of the three, this was the best so far. What struck me about each of these books was the role that physics plays in the story. They almost read like stories made up to illustrate the theory of relativity. More recently, I read the Demolished Man which is the oldest so far. In a world full of people who can read minds – how can you murder someone? An intriguing concept and the story proceeds at a breakneck pace. Of all the books – it is very difficult to believe that this was written over half a century ago. It feels so fresh. Highly recommended! Right now, I’m reading Hyperion. A massively imaginative tale of a group of pilgrims heading to a religious site on the planet of the title. The story unfolds in a Canterbury Tales-esque fashion with each character telling their story. Of course each tale is intertwined and quite unlike anything I’ve ever read before. This is the most recent tale and the first to convince me to seek out the sequels. My disorganised bookshop doesn’t carry them, so I’ll have to pay full price – but somehow, I’m convinced they are worth it! What else should I read to scratch my science fiction itch? I enjoy writing. It’s like a new hobby to me and I try to write something whenever I get the opportunity. I don’t know about anyone else, but when I get a new hobby, I spend a lot of time reading about it. I don’t just want to be a writer – I want to be a good writer – so I have read blogs, magazines and articles on how to improve. 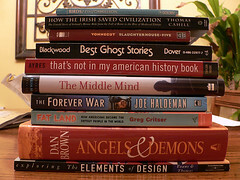 The one piece of advice that almost all of them contain is that avid writers should read lots of books. So I have made a concerted effort to read more. Like most budding technologists, I have the ability to read ebooks. I have Kindle installed on every device I have and have a nice little collection of ebooks in my library. This means that these titles are available to me pretty much everywhere. I also have a big pile of crusty old physical books as well. There are shelves and shelves of them in our house. I regularly buy more of them – typically from the charity shop. 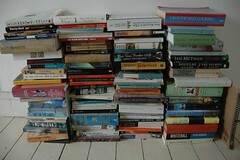 Unlike the ebooks, I have to make a conscious choice to carry these books with me if I’m going to read them. So in theory, they are available to me much less often than their electronic equivalents. The odd thing is, my ebook library is littered with unfinished reads, whereas I’ve flown through the last 10 physical books I picked up from the charity shop. How does this make sense? Either consciously or unconsciously, my preference is to read the physical manifestation of the text rather than the electronic. I do find reading a very emotive, tactile experience. I like the smell of old books. I like well read books from the charity shop because it reassures me on some level that other people have enjoyed that title too. The physical form factor is important too. I need to feel like I am making progress through the book, so I prefer books with larger text and shorter chapters. I know that the font size can be set in electronic books, but somehow, the effect is not the same. When you are reading a physical book, you can easily see how far you are through by looking a the block of pages read compared to the pages you still have to read. I know that I can see that numerically at the base of my kindle screen, but again – it’s just not the same. There are a few other downsides too. I can pick up a superb potboiler from the charity shop for 50p, but prices for ebooks seem far too high considering there are no raw materials or distribution costs. Once I have finished my physical book, I can lend it to someone else or even take it back to the charity shop for someone else to enjoy. I can’t do that with my ebooks. There are good things about electronic books such as the anonymity – nobody knows what you are reading which surely helped the recent success of the 50 Shades trilogy. They are also weightless – apart from the device itself (which many people carry anyway) – each book adds no weight or bulk. But when it comes to ebooks – colour me a Luddite. I’ve made no secret of the fact that I have found Steve Jobs biography to be tough going. It’s not the writing, it’s the subject. Before I started reading the book, I had no real image of Steve Jobs in my head other than his public persona. The more I read of his life story, the less I find myself liking him. I try to persevere – but it’s hard work. So I was interested to see Walter Isaacson, the author presenting at IBM’s Impact conference last week. I didn’t really know much about him either, but it turns out that Steve Jobs is not the only subject of his biographies. 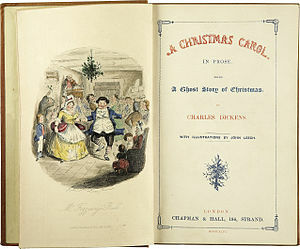 He has also written the life stories of Albert Einstein and Benjamin Franklin. Apparently, Steve Jobs approached him and asked why not do his biography next. Walter joked about Jobs thinking his name being the next name in the sequence after Einstein & Franklin showing a distinct lack of humility. He argued that smart people are relatively common, but what set his subjects apart was imagination. He told the story about Steve Jobs painting a fence with his father. Confounded by his suggestion to apply as much care and attention to the back of the fence as to the front, Steve Jobs asked why – who will know? His father told Jobs that he would know. That notion of caring obsessively about every facet of his products extended throughout his career. Walter went on to say that innovation requires passion and curiosity. Einstein’s father gave him a childhood gift of a compass. He became fascinated with the idea of magnetic fields and Maxwell’s equations They state that the speed of the magnetic field remains constant regardless of your speed or direction. Einstein couldn’t understand why this would be the case until he fathomed out the theory of relativity. As a young man, Benjamin Franklin spent a lot of time on ships going to and fro across the Atlantic Ocean. He couldn’t understand why the journey was shorter going one way than the other. So he began experimenting by pulling buckets behind the ship and sampling the water as the ship travelled. Through experimentation, he discovered that the water in one direction was warmer than the other which accounted for the ease of passage. Benjamin Franklin was also very open and collaborative, which Walter argued was also important to innovation. He told a story about the declaration of independence which because of my lack of familiarity with the document didn’t mean that much to me, but I assume it illustrated his point. Paradoxically – Apple is not what you would describe as an open and collaborative company but there you go. The slogan from Apple’s famous Orwellian advertising campaign was “Think Different” which all of Isaacson’s subjects live up to. So, will my Steve Jobs biography become easier having seen the author himself. Unfortunately – probably not. But I am tempted to try another of Walter’s books. He is currently working on a history of computing which sounds like it would be right up my street. Picture the scene. You see 3 children sat on a sofa. Each of them is playing on some sort of electronic device. What thoughts come into your head? The chances are that the words “waste of time” are uppermost in your mind. 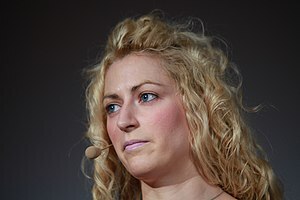 Up until 24 hours ago, I would have agreed with you, but I was lucky enough to see Jane McGonigal’s presentation at IBM Impact in Las Vegas. Jane is a self professed future forecaster and author of Reality is Broken. She has a PhD from the University of California at Berkeley. An enthralling speaker, she rattles off facts and figures about gaming and the effect on society in convincing fashion. According to her figures, there are a billion gamers in the world today. Angry Birds alone is played for a total of 300 million minutes a day by the human race. Wikipedia has become an exhaustive knowledge source for just about everything. At the time of writing, the site consists of approximately 4 million articles. Encyclopaedia Britannica contains about 85,000. If all the gamers playing Angry Birds stopped, and turned their attention to recreating Wikipedia (assuming they had the knowledge), it would take them just three weeks. Interesting – but why does that make gaming anything more than a frivolous waste of time? Apparently, gamers regularly experience 10 distinct positive emotions ranging from curiosity to joy. They are more innovative. More creative. They are more resilient (chiefly because they spend 80% of the time during games failing). Gamers are also more likely to help other people. There are medical benefits too. According to a Nature Reviews study, gamers with ADHD find that their symptoms are massively diminished or even disappear whilst playing games. Gamers with autism show increased social intelligence. In clinical trials, games give more positive results than pharmaceuticals in patients with depression. She gave the example of a game called Remission. The hero in the game fights against the agents that cause cancer. Patients suffering from the disease who play the game have better outcomes than patients who just watch the game being played. Observation or brain activity whilst playing the game shows increased activity in the Thalamus (responsible for not giving up) and the Hippocampus (responsible for long term memory and habits). If you play the game, you are less likely to give up and much more likely to continue treatment. During her presentation, she told us that we were going to play Massively Multiplayer thumb wrestling. As I was surrounded by 9,000 other people, I decided in an instant that I was far too British to take part in any such nonsense. When the time came, I became wrapped up in the moment and I was thumb wrestling with the best of them and I won with one thumb, which apparently makes me a grand champion of thumb wrestling! Jane asserted that we would all feel a number of positive emotions afterwards, and I did, once I had composed myself and straightened my tie. There is something really special about a good book. Somehow, I find them so much more satisfying and immersive than a film or game. I must have read hundreds, maybe thousands of books in my lifetime, but I am cursed with a memory that allows me to remember relatively few. I suppose the ones I do remember are the ones I enjoyed most. There are some I remember from an early age. One of them, an illustrated dictionary, I still have. The other, regretfully has long since passed from my possession. It was a Ladybird Book. One of a series of small hardback books that we were all weaned on. I forget the title, it was something like “On the train with Uncle Jack” and it was all about rail travel. I don’t know if it was because I came from Swindon, but I had an unhealthy obsession with trains so I read this book so much that it was practically falling to pieces. 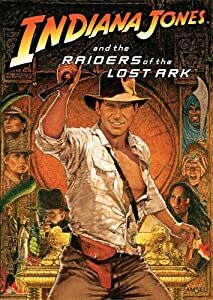 Mum and Dad had managed to apply copious amounts of sellotape in an effort to hold it together and it was just as well, because I probably read that book more than any other since. Like most children, I lapped up Enid Blyton books. The famous five and the secret seven had my imagination working overtime. I also remember other books about a child called McGurk who was a child detective. Unlike most children, I also became obsessed with Sherlock Holmes and read the complete works from cover to cover umpteen times. It was only later in life that I developed an interest in fantasy fiction. A colleague recommended the Dragonlance trilogy to me, which I loved at the time but it left me hungry for more. A friend recommended Magician by Raymond Feist which has to rank as one of the best fantasy novels of all time. I enjoyed the hobbit and because of the seminal nature of Lord of the Rings, I tried to read that too, but I found it interminably slow. Other books I’ve read since have had the same pedestrian pace (such as the Dragonbone Chair trilogy) but for some reason, I found them much less turgid. Robin Hobb‘s assassin series was absolutely brilliant (until the ending which had me physically throwing the book across the room) and anyone who enjoys humour in a fantasy setting really owes it to themselves to read the Gentlemen Bastards series by Scott Lynch. Combining a really good book with an environment that reflects the book’s content can make it seem much more real and relevant. Reading Pirates by Celia Rees whilst on a Caribbean cruse and The Terror by Dan Simmons whilst on a transatlantic voyage really transports you in a way that reading them at home in a comfortable armchair never would have done. So – what am I reading now? I am struggling with Steve Job’s biography. Maybe it’s because this is the first biography I have ever read, but to be honest I am really struggling. Nothing I have read so far endears me to the man. I can’t take away from his commercial legacy, but I find little in his character that appeals to me.